Zachary H. Smith is a Partner and the Team Leader of Moore & Van Allen's Bankruptcy & Financial Restructuring Practice. Smith concentrates his practice in the areas of distressed situations and bankruptcy, representing institutional lenders, strategic investors, special situation funds, debtors, receivers, board members, and other stakeholders in in-court and out-of-court restructurings, including complex restructuring matters pertaining to Puerto Rico. 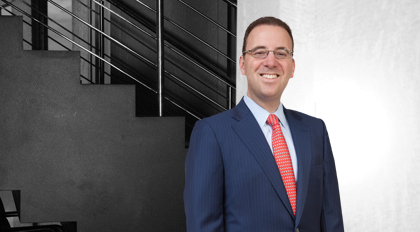 Before joining Moore & Van Allen in 2013, Smith was a partner in the restructuring practice of a major New York law firm. FirstBank Puerto Rico as agent bank in the retail and commercial real estate chapter 11 cases of Komodidad Distributors, G.A. Investors, and certain affiliates, in the United States Bankruptcy Court for the District of Puerto Rico. FirstBank Puerto Rico as agent bank in the restructuring of a major Puerto Rico-based hotel and convention center. FirstBank Puerto Rico in the chapter 11 case of Doral Financial Corporation in the United States Bankruptcy Court for the Southern District of New York. FirstBank Puerto Rico as secured lender in the restructuring of the Puerto Rico Electric Power Authority. FirstBank Puerto Rico as prepetition senior secured lender to British Virgin Islands-based resort Scrub Island Development Group Limited and certain affiliates, in chapter 11 cases in the United States Bankruptcy Court for the Middle District of Florida. A U.S. investor group, Putnam Bridge Funding, in its acquisition of Marina Puerto del Rey, the largest marina in the Caribbean, through a joint chapter 11 plan confirmed by the United States Bankruptcy Court for the District of Puerto Rico in May 2013. A U.S. investor group, Putnam Bridge Funding, in its acquisition of La Ciudadela de Santurce, a high-profile distressed commercial and residential urban revitalization real estate project in San Juan, Puerto Rico, through two simultaneous 363 transactions approved by the United States Bankruptcy Court for the District of Puerto Rico in August 2012. United States Department of Treasury and the Presidential Task Force with respect to the restructuring of General Motors. Merrill Lynch/Bank of America as prepetition senior secured lender to retail jewelry company Fred Leighton Holding, Inc. and certain affiliates in chapter 11 cases in the United States Bankruptcy Court for the Southern District of New York. JPMorgan Chase Bank, N.A., as agent lender in Centro Properties Group's global out-of-court restructuring. Filip Technologies, Inc. and certain domestic and foreign affiliates in chapter 11 cases before the United States Bankruptcy Court for the District of Delaware. Caribbean Petroleum Corporation and certain affiliates in chapter 11 cases in the United States Bankruptcy Court for the District of Delaware. BVI Court-appointed Receiver in connection with the Scrub Island chapter 11 cases. Vertis Holdings, Inc. and certain affiliates in chapter 11 cases before the United States Bankruptcy Court for the District of Delaware, including the 363 sale of substantially all of Vertis’ assets to competitor Quad/Graphics, Inc.
Xerium Technologies, Inc. and certain affiliates in prepackaged chapter 11 cases in the United States Bankruptcy Court for the District of Delaware. St. Vincents Catholic Medical Centers and certain affiliates in chapter 11 cases before the United States Bankruptcy Court for the Southern District of New York. Loral Space & Communications Ltd. and certain affiliates in chapter 11 cases before the United States Bankruptcy Court for the Southern District of New York. Parmalat Finanziaria S.p.A. and certain affiliates in a proceeding under former section 304 of the Bankruptcy Code. Debtwire Invites Smith to Serve as Panelist, June 17, 2014, Panel discussion will focus on "Restructuring Puerto Rico"